More than 400 registered student organizations will be represented at Grand Valley State University's Campus Life Night this year. The annual event, designed to showcase GVSU's many student clubs and organizations and connect incoming and returning students with extracurricular opportunities, will be held Tuesday, Sept. 6, from 6 p.m. to 8 p.m. in Parking Lot H.
One campus organization, Spotlight Productions, is getting ready for the event. Spotlight Productions is a student-run campus programming board that has been responsible for bringing celebrities, comedians, speakers and musicians to GVSU in the past. Many organizations showcased at the event will be offering their event schedules for the academic year, along with free giveaways and some interactive games. A noticeable pattern among the groups at Campus Life Night will be the advertising of upcoming events geared toward returning students, as well as freshmen. 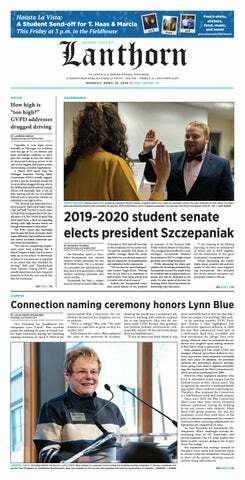 Another prominent student-run organization at GVSU is Laker Traditions, responsible for the Laker Kickoff Party, Homecoming, Family Weekend and the Intercultural Festival. Both organizations can be found at Campus Life in their respective booths. Students can pick up Valley of Color highlighters and GVSU-themed chip clips from Laker Traditions representatives. Spotlight Productions will have sign-up sheets for any GVSU students who want to interview for coordinator positions within the organization or get involved and volunteer for the events that will be hosted this year. During Homecoming week this year, the organizations will be partnering to hold a game show night. The groups are aiming for more than 600 attendees.